Home / Archive / 2015: Television with Borders? ANALYSIS Despite technology making broadcast distribution over wide areas much easier and cheaper in recent decades, broadcasting across borders is often difficult, thanks to broadcast rights issues and different regulatory regimes in different countries. The past week has seen several examples of the ongoing issues faced by broadcasters. In Russia, CNN went off-air at the end of 2014. According to reports, that's due to recent changes to Russian media ownership rules that limits the presence of foreign capital in Russian media outlets to 20% and that the international news channel now has the "incorrect" type of licence to continue broadcasting in the country, although the Russian media regulator Roskomnadzor has denied it has anything to do with the cessation of CNN in Russia. The BBC's commercially funded World News channel is still on air, but in November, the head of Roskomnadzor went on record stating that the BBC World News channel would also need to reapply for a licence. The developments in Russia come as the Kremlin-backed RT channel continued its expansion across the world and in the UK over the past 12 months. In Germany, viewers have missed out on free-to-air coverage of this month's Handball World Cup in Qatar due to broadcast rights issues between Germany's public service broadcasters ARD and ZDF and Al Jazeera's BeIN Sports network. When UK public service channels reduced their footprint outside of the UK via satellite last year, a lot of affected viewers in Europe commented on how German broadcasters can be widely available across Europe, while the main UK channels are restricted in coverage. 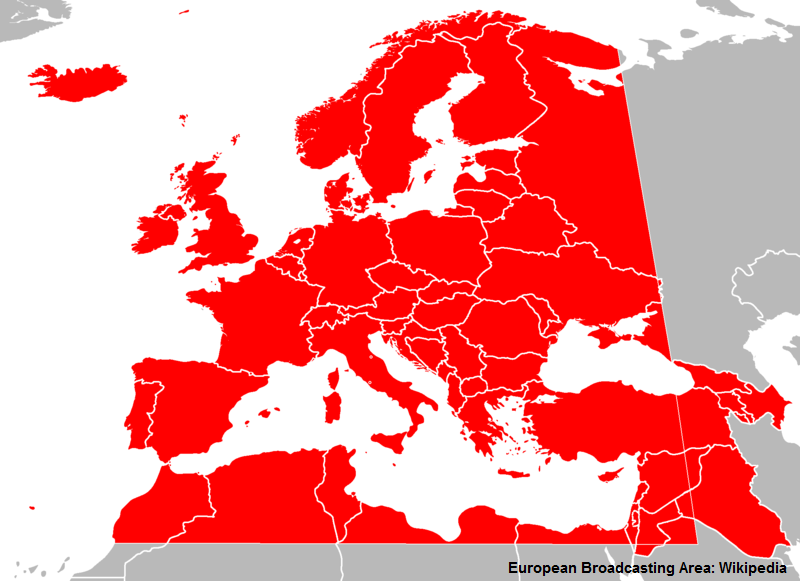 Broadcast rights are the primary reason for this, and now ARD and ZDF are increasingly finding it difficult to be able to broadcast live sport via satellite using a widebeam signal across the continent. During the 2014 FIFA World Cup in Brazil, the ARD and ZDF had to switch off their signal on the Eutelsat satellite to pacify BeIN Sports, as the Eutelsat satellite beam spilled over into territories covered by BeIN Sport's pay TV service. According to a report in German news magazine Der Spiegel, ARD and ZDF had offered to to restrict one of its two satellite outlets during the Handball World Cup, but BeIN Sports wanted all satellite broadcasts to be encrypted. As a result, Sky Deutschland has taken up the rights to show the event, although the pay TV operator is making some games (that don't feature Germany) available for free in Germany via a geo-locked stream on its website, albeit with English commentary - this hasn't gone down too well among some German viewers. Might a Central Europe spotbeam reducing the satellite footprint become necessarily for the German public service broadcasters in the feature? In Ireland, the new year saw the launch of UTV Ireland, which on cable replaced the original UTV service from Belfast. Unlike UTV Northern Ireland, UTV Ireland is not part of the UK's channel 3 network and doesn't not automatically have the rights to rebroadcast the entire ITV schedule south of the border. This has annoyed some viewers, with viewers taking to social media when they realised that the change meant they couldn't see the ITV premiere of the The Dark Knight. The previous UTV distribution arrangement on Irish cable meant that ITV shows were being shown via UTV Northern Ireland in a country where the rights had been awarded to another broadcaster (TV3). The new arrangement means that ITV content is now exclusively available on cable via whichever broadcaster has the rights to it in the Republic of Ireland. ITV Studios content (including Coronation Street) will appear on UTV Ireland while rights to ITV shows made by independent producers can be sold to any Irish broadcaster, often TV3, which will broadcast ITV's hit drama Broadchurch an hour after its ITV premiere on Monday 5th January. As is the case with the CNN black-out in Russia, overspill satellite reception means that some households will still be able to benefit from the service, despite its distribution being restricted in their country. Overall, broadcasting boundaries are a difficult subject for the TV industry, for they know that if there is too much demand for a service that has been restricted, unauthorised ways around the blockage, often involving illegal IPTV streams flourish. As high speed internet connections continue to become more widely available, broadcasters and regulators know that the TV industry is facing some of the same dilemmas the music industry faced once internet connections became fast enough to download 3 minute music tracks - it becomes difficult to delay or restrict access to content in some countries. Restricting the availability of services on cable and satellite through media legislation, encryption or reduced satellite footprints will no longer be a suitable solution. The best (subscription-free) solution for Irish Republic viewers, is to own both a UK Freesat box (set to a UK postcode) and a Soerview terrestrial box (for local TV). There are in fact Saorview approved combi boxes which combine Irish DTT with free-to-air satellite in a single box. what a dilemma! I guess that all that could be done is for continent wide rights or even world rights to eventually be sold which will inevitably lead to the end of broadcast TV as we know it! It might mean that all TV channels go online only and use a multicast streaming method like YouView to set top boxes but as a worldwide operation? Satellite could just be used as an internet booster for those out in the sticks where fibre lines cant reach? It would be a total headache for governments as they seek to try and control things but would in turn do wonders for unifying TV standards worldwide!